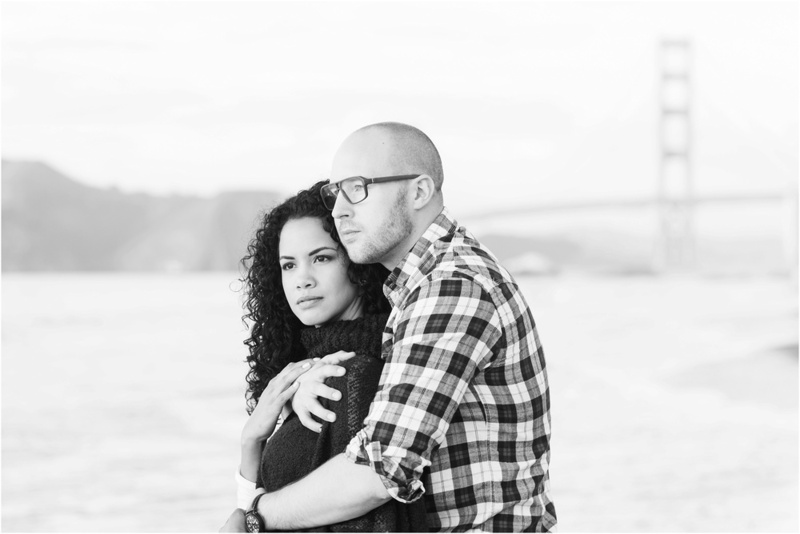 Amanda and Daniel wanted their engagement session to be personal to them, their love, and their life. You may also recognize Amanda as the gorgeous, Ms. Colorado! What an honor! The two are currently planning their upcoming destination wedding to be held in Germany! 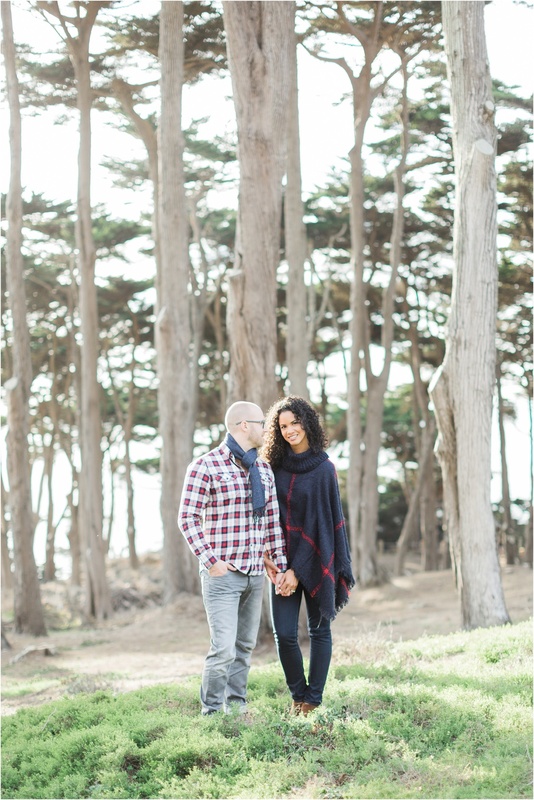 When photographing their engagement session, we decided to start shooting in their own neighborhood, Potrero Hill, with the skyline of their beloved city behind them. 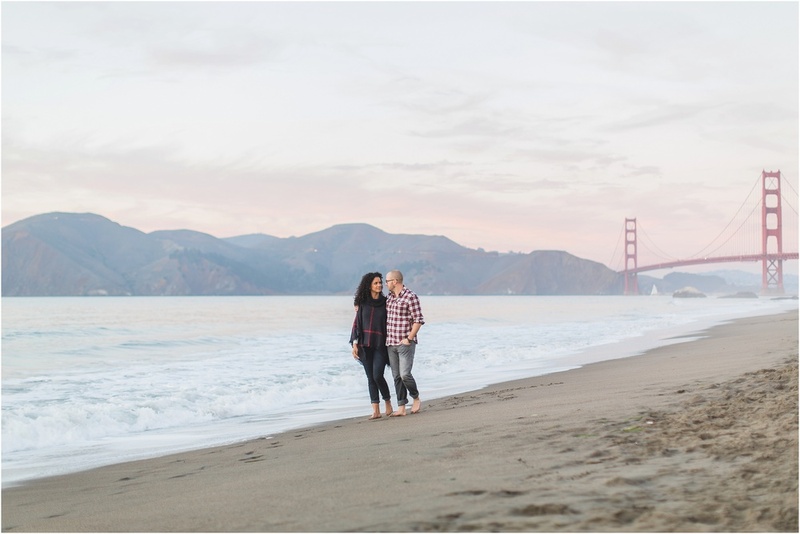 Our next stop was at Baker Beach for a little football and champagne next to the Golden Gate Bridge, where we witnessed a spectacular sunset. 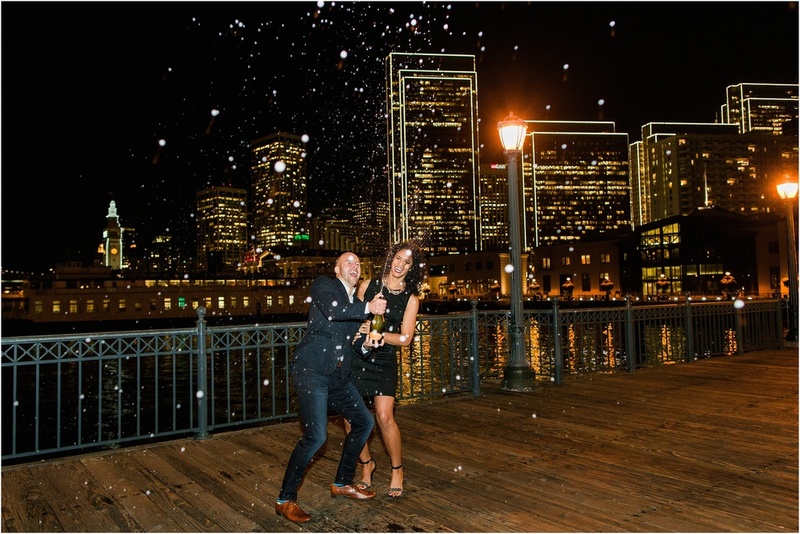 We couldn't help but make one more stop for a second round of champagne on Pier 14 with the gorgeous night scape of the city and the Bay Bridge in the distance. Congratulations Amanda and Daniel! Thank you for such a great time! I can't wait to hear more about your wedding!